Ear wax serves an important role, helping to keep the ear canal clean, protected and free of bacteria. Normally, ear wax slowly makes its way down the ear canal and falls or is washed out. Some people, however, have an overabundance of wax, which can harden, blocking the ear canal. This impaction by the oily wax can result in a ringing sound in the ear known as tinnitus as well as itching, temporary hearing loss, odor or an earache. Since wax only forms in the outer third of the ear canal, trying to remove the wax yourself can push it deeper into the canal. 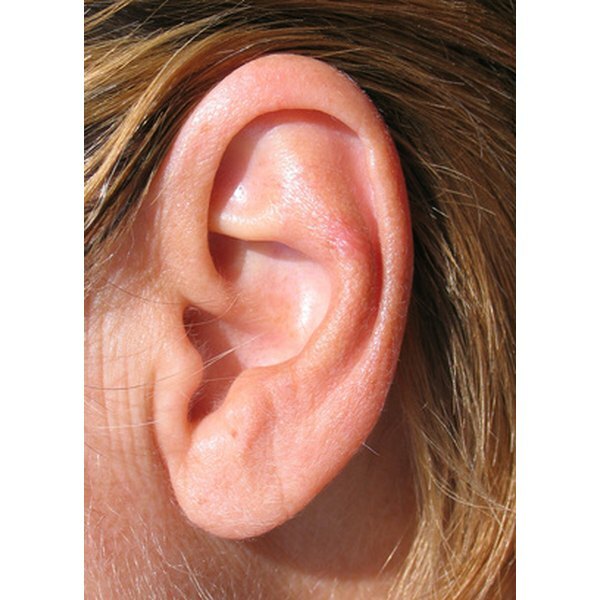 Ideally, wax should be removed by a physician or at home using ear irrigation. Apply drops with an eyedropper to the ear to soften the wax. Mineral oil, baby oil, hydrogen peroxide, commercial ear drops and glycerin are all recommended. Repeat twice a day for no longer than four or five consecutive days until the wax softens. Fill a rubber-bulb syringe with warm water (approximately body temperature) and gently squeeze water into the ear canal as you tilt your head back and to the side so the affected ear is facing up. This straightens the ear canal. Tip your head down and to the side so the affected ear is pointing toward the floor. Repeat steps one through four until the wax is removed. If, after several attempts, the ear is still blocked, consult a physician. Never stick an object down the ear canal in an attempt to loosen the wax, as this can cause damage to the ear or eardrum. There are also several earwax removal kits on the market that may provide further relief. If your ear drum has a hole in it, do not attempt to remove the wax or irrigate the ear yourself, as further damage could result. See a physician instead.